Ron Siemiginowski and Giles Watson were brought together by the shared ambition to write a musical. Neither of them had the faintest idea just how far their dream would go. Seesaw editor Rosalind Appleby found out more about Mimma a Musical of War and Friendship, which will open at the Regal Theatre next week. Ron Siemiginowski is the composer and producer of Mimma the Musical. Photo Jared Vethaak. Mimma a Musical of War and Friendship will have its world premiere at the Regal Theatre on April 9th. The global production might have been dreamt up in a lounge room in Albany but it has attracted musicians from around the country and overseas. The lead role of Mimma will be performed by Australian/Dutch soprano Mirusia Louwerse, whose chart-topping crossover albums and tours with Andre Rieu have earned her the nickname ‘Angel of Australia’. 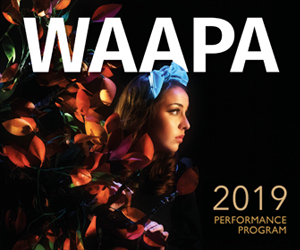 She is supported by music theatre stalwart Jason Barry-Smith as her uncle Aldo Marini, WA Academy of Performing Arts graduate Holly Meegan as jazz singer Sarah Parker and US/Australian singer Suzanne Kompass as Ada Marini. The story is set in World War Two and follows the Italian journalist Mimma, whose family are involved in the resistance against Mussolini. Mimma takes refuge from the spread of Fascism at her uncle’s nightclub in London and forms a friendship with jazz singer Sarah. As things begin to unravel on a global scale the conflict brings out the best and worst in people. The musical pays tribute to the friendship between Mimma and Sarah as they hold fast to humanity in the midst of the destruction. World War Two history has fascinated Watson since he wrote his doctoral thesis on this period, and Siemiginowski’s childhood was filled with war stories told by his Polish/German parents who arrived in Australia as displaced persons in 1951. The composer and librettist discovered the period has lessons for our times too, particularly the themes of refugees and extremist ideology. The musical also highlights the extreme ideology evident in politics at the time. “I’ve learned from my personal family history to be wary of extreme ideology on any side of politics,” explains Siemiginowski. England’s paranoia about Italian and German migrants is articulated in the song Collar the Lot which quotes Churchill’s blanket approach to deporting ‘Enemy Aliens’. In the musical a boat of deported Italian and German refugees is sunk, making reference to the sinking in 1940 of the Arandora Star by a German U-boat. 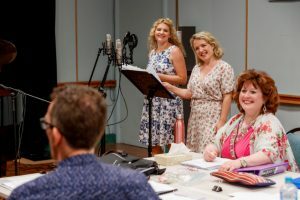 Mirusia Louwerse, Holly Meegan, Suzanne Kompass and Jason Barry-Smith in rehearsal. Photo Jared Vethaak. Siemiginowski’s music weaves the themes together, with Italian arias inspired by the lush melodies of Puccini and Verdi sitting alongside 1940’s styled jazz numbers. There’s even a Rhumba Italiana which includes the transcription of a trumpet solo by Australian jazz icon James Morrison. 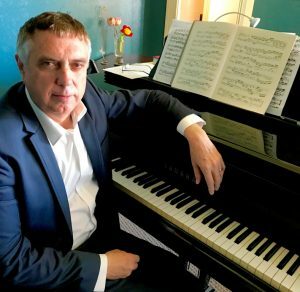 New York based Australian composer and conductor Sean O’Boyle has orchestrated Siemiginowski’s piano score and will conduct the Perth Symphony Orchestra for the world premiere season at the Regal Theatre. Mimma a Musical of War and Friendship is at the Regal Theatre from April 9 – 21. Pictured top: The Mimma cast includes Mirusia Louwerse, Jason Barry-Smith, Sean O’Boyle (music director), Holly Meegan and Suzanne Kompass. Photo Jared Vethaak.